With borrowing costs rising, affordability is also becoming a hurdle. 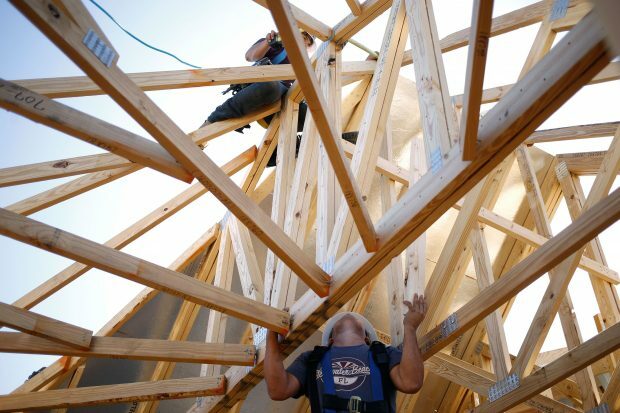 U.S. new-home construction rose by more than forecast in March on a rebound in multifamily starts, giving a boost to first-quarter economic growth, government figures showed Tuesday. Residential starts rose 1.9% to 1.32m annualized rate (est. 1.27m) after upwardly revised 1.3 mln pace in prior month. Multifamily home starts rose 14.4%; single-family fell 3.7%. Permits, a proxy for future construction of all types of homes, rose 2.5% to 1.35m rate (est. 1.32m) after 1.32m pace. The results show a tight job market, improved finances and consumers’ elevated confidence to purchase big-ticket items are supporting construction. That means homebuilding probably contributed to economic growth for the second consecutive quarter.